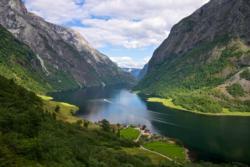 Welcome to fjords.com, the gateway to the Norwegian Fjords. 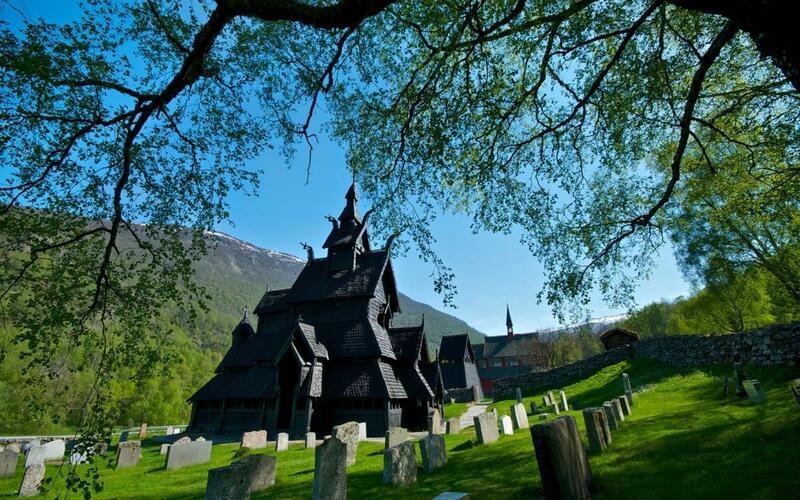 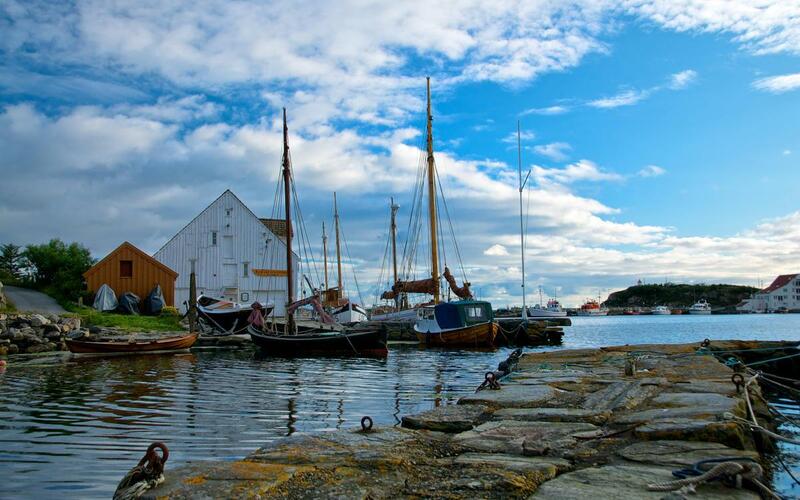 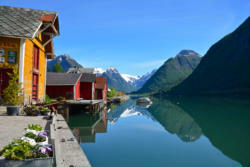 Here you will find information that helps you to plan, travel and explore the four fjord regions in Western Norway. 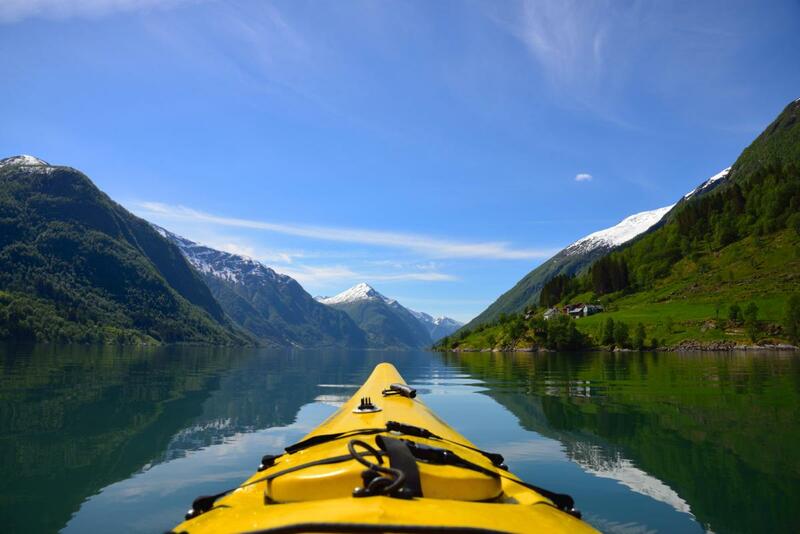 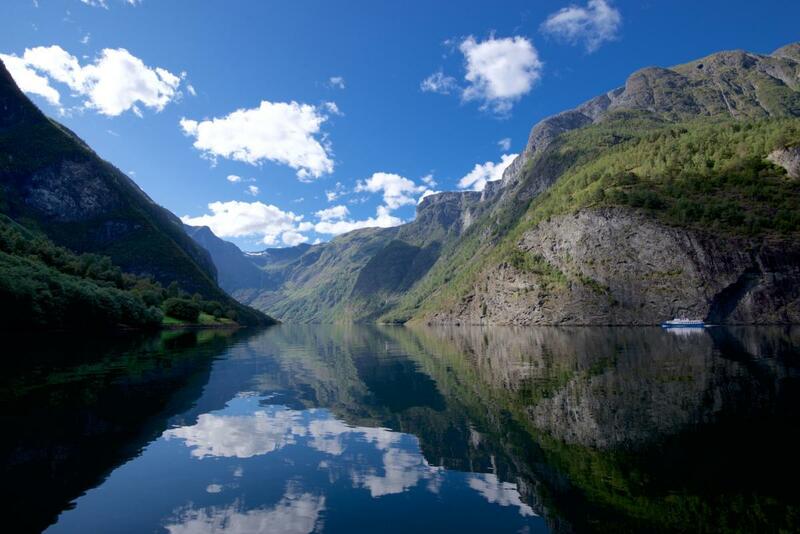 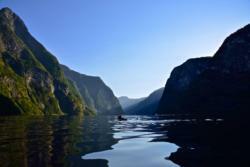 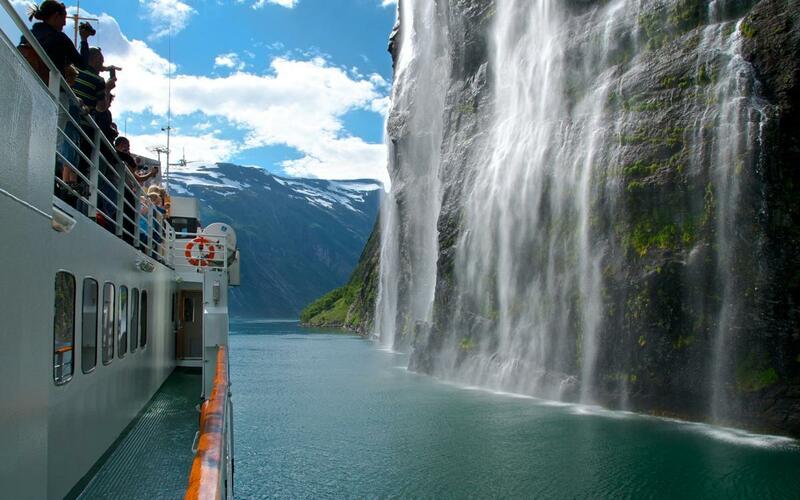 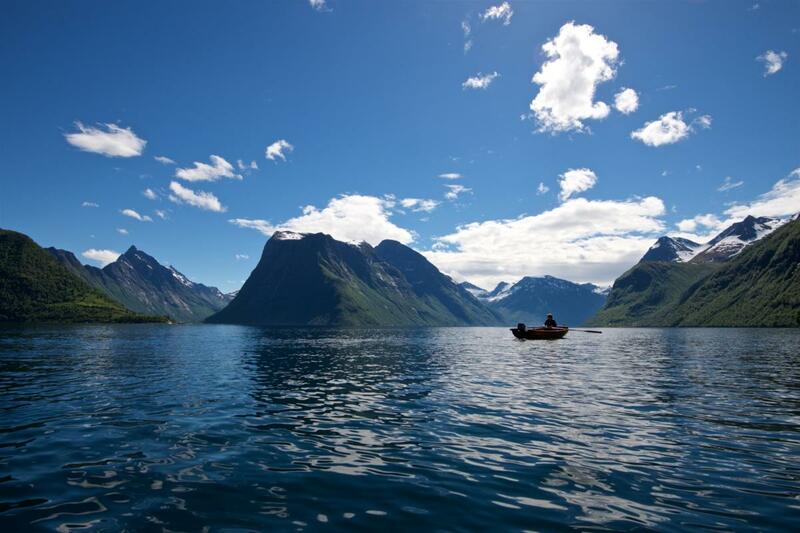 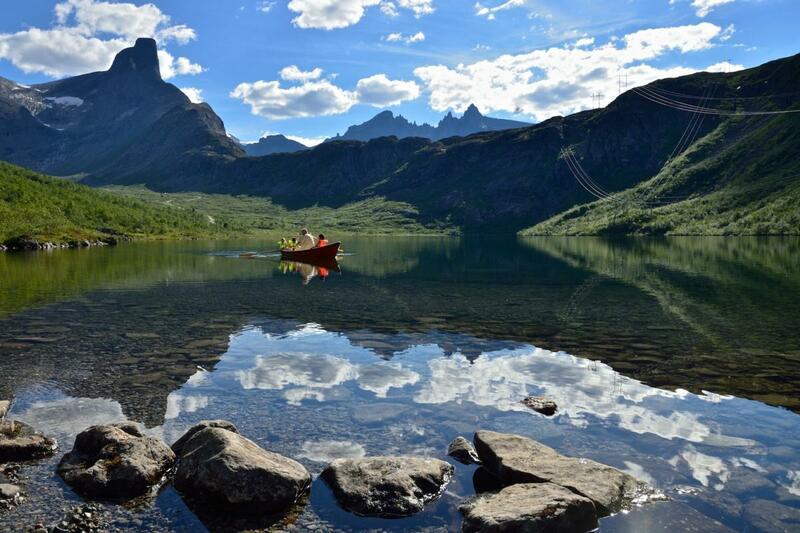 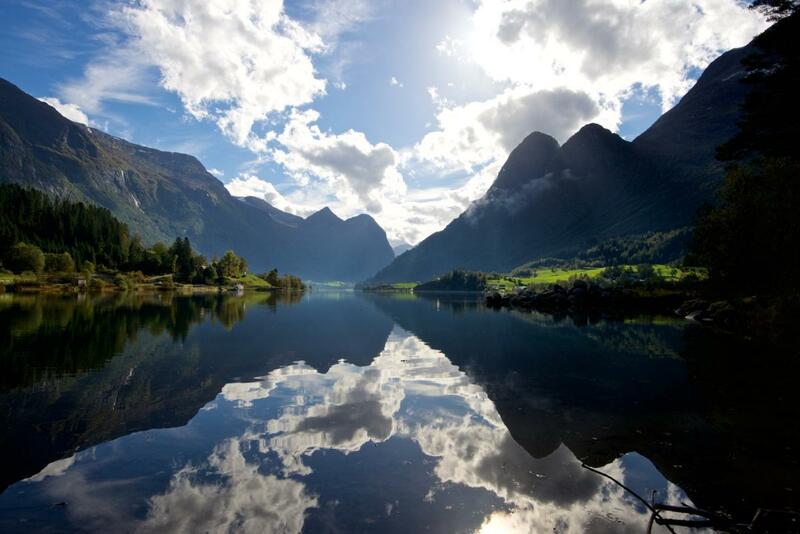 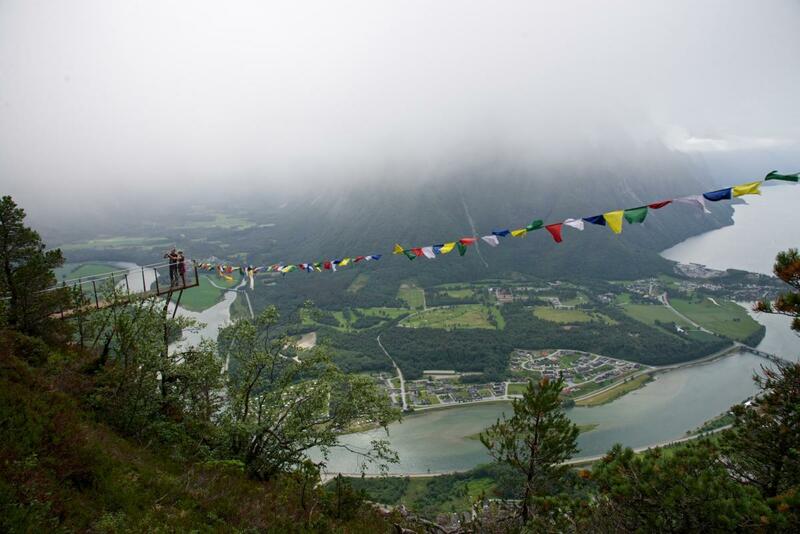 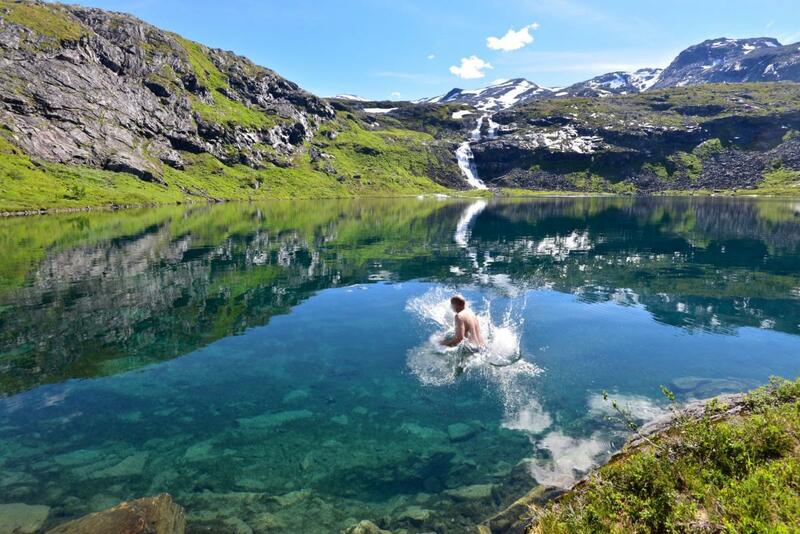 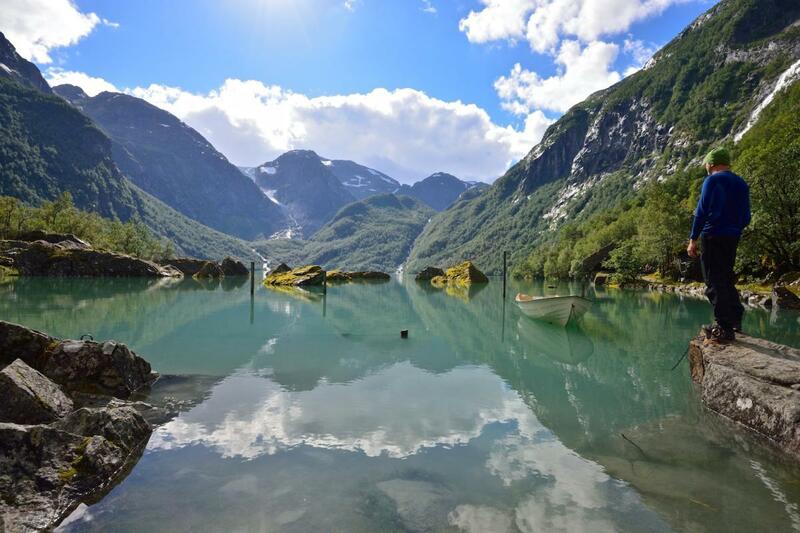 Norway have some of the longest, deepest, narrowest and most beautiful fjords in the world. The Sognefjord is the longest fjord with a length of 204 kilometres. 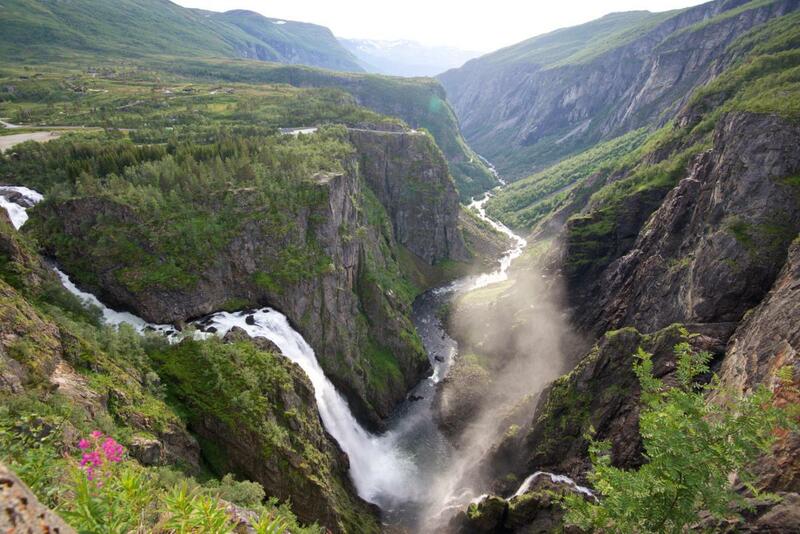 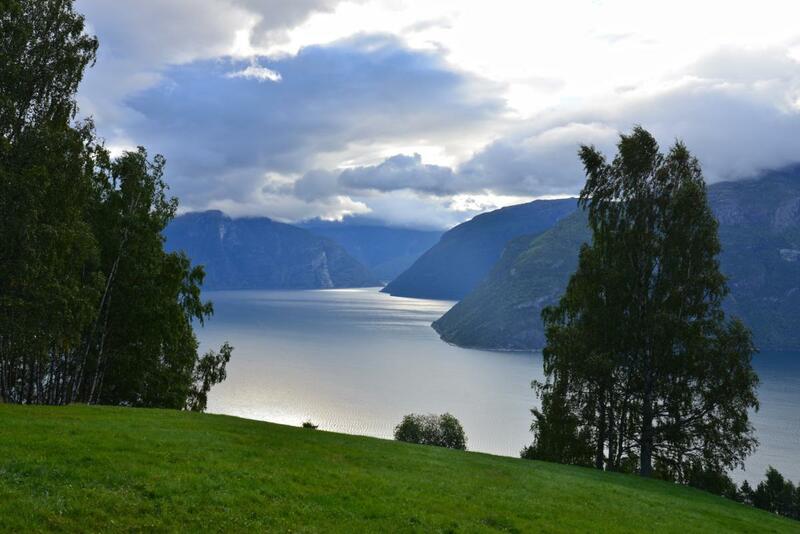 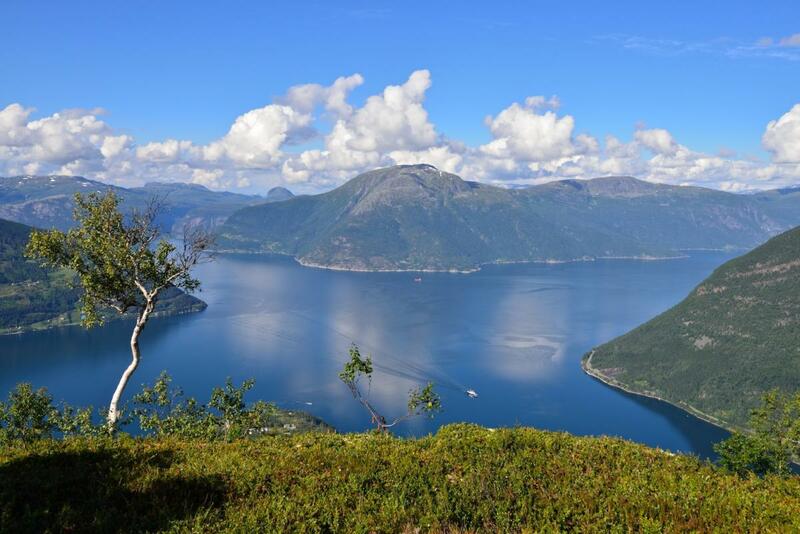 Some places the Sognefjord is more than 1300 metres deep, with the surrounding mountains as high as the fjord is deep. 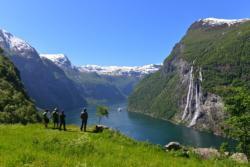 The Geirangerfjord and Nærøyfjord are incorporated into the UNESCO World Heritage List. 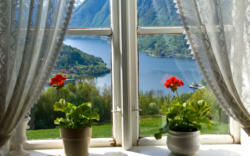 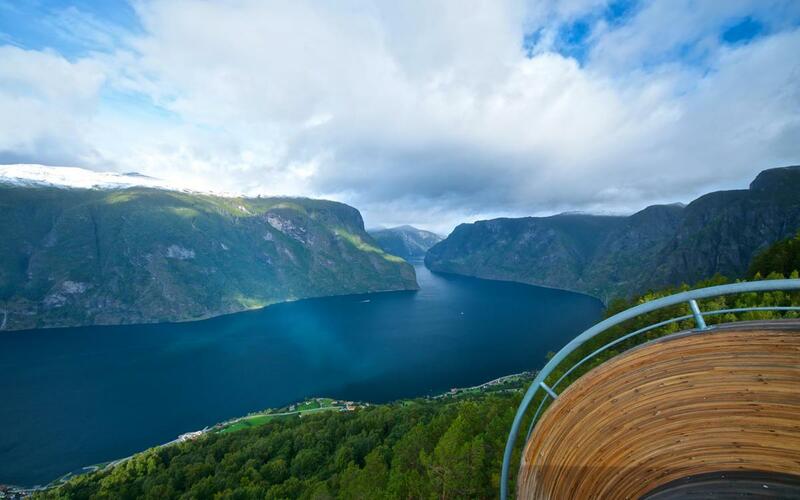 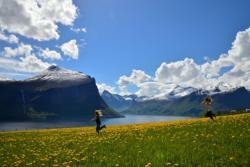 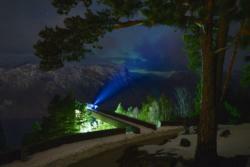 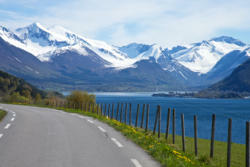 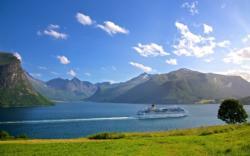 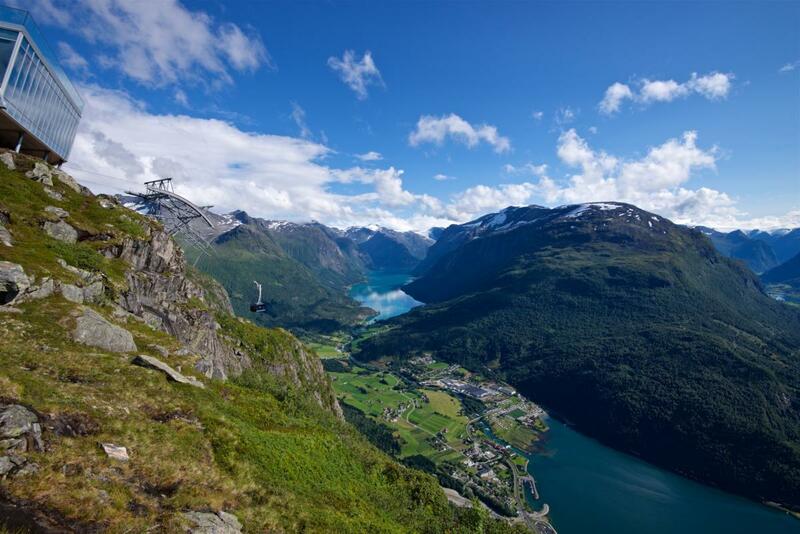 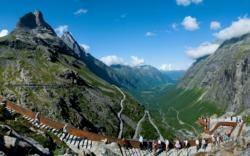 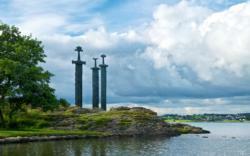 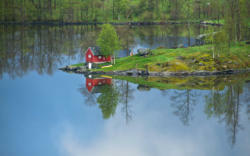 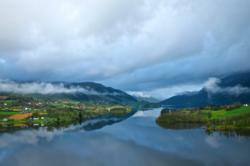 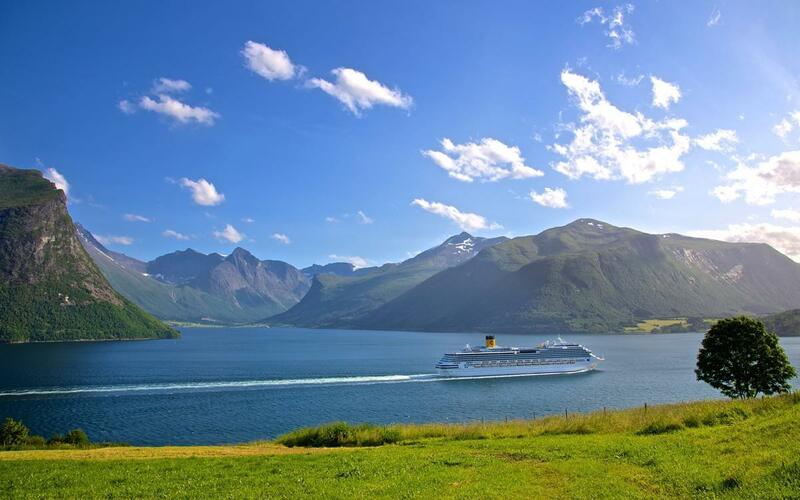 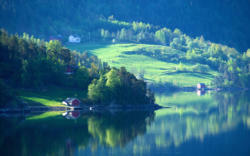 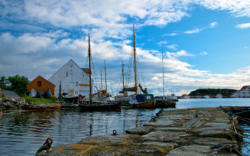 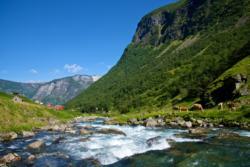 And the Norwegian Fjords are voted as the world’s best travel destination by the National Geographic Traveler magazine. 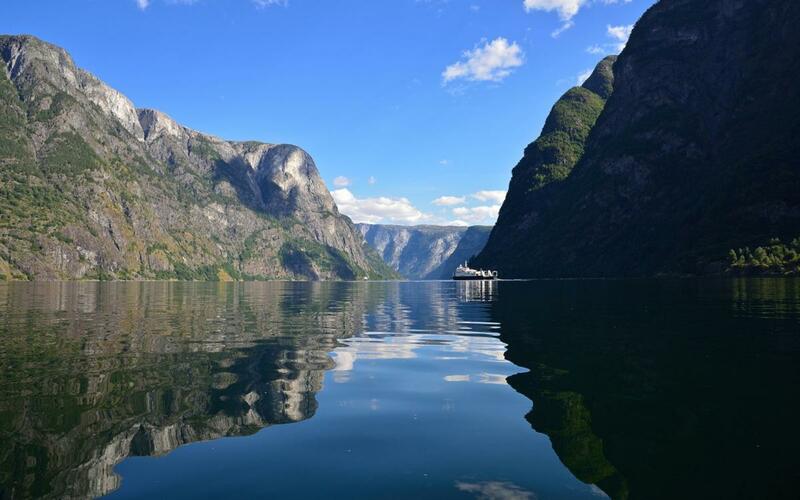 The most popular Fjords to visit are the Geirangerfjord, Hjørundfjord and Romsdalsfjord in Møre & Romsdal, the Nærøyfjord, Sognefjord and Nordfjord in Sogn & Fjordane, the Hardangerfjord in Hordaland and the Lysefjord in Rogaland. 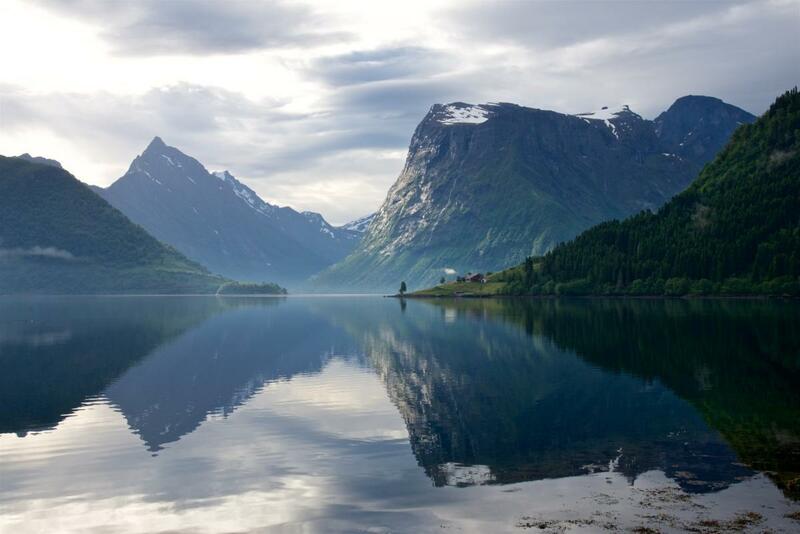 The fjords in Norway are known for the wild, beautiful and untouched nature. 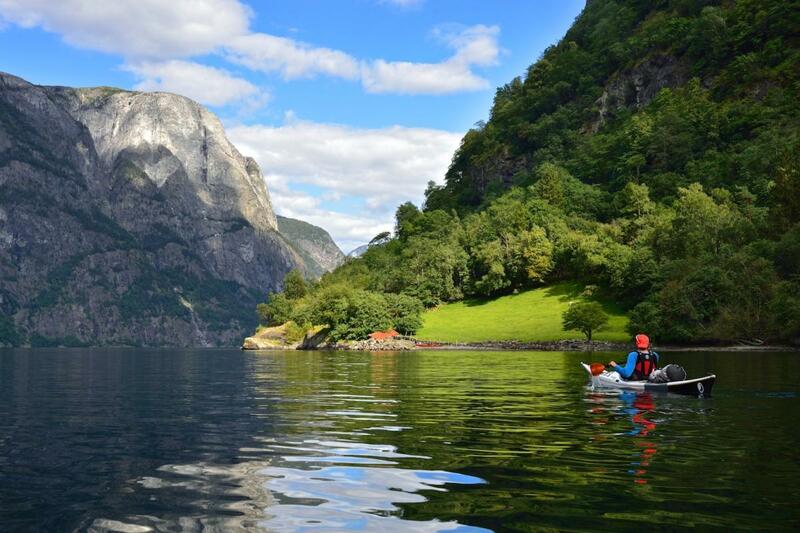 Fjords, mountains, glaciers, waterfalls and rivers, lakes and mountain lakes, fresh air and clean flowing water calls for people searching for adventure, silence, activity, hiking, skiing, surfing, kayaking, speed and excitement. The fjords are also great to visit during winter. 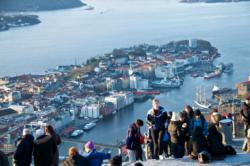 Here you can read about Winter Adventure in the Fjords and Great Skiing in the Fjords. 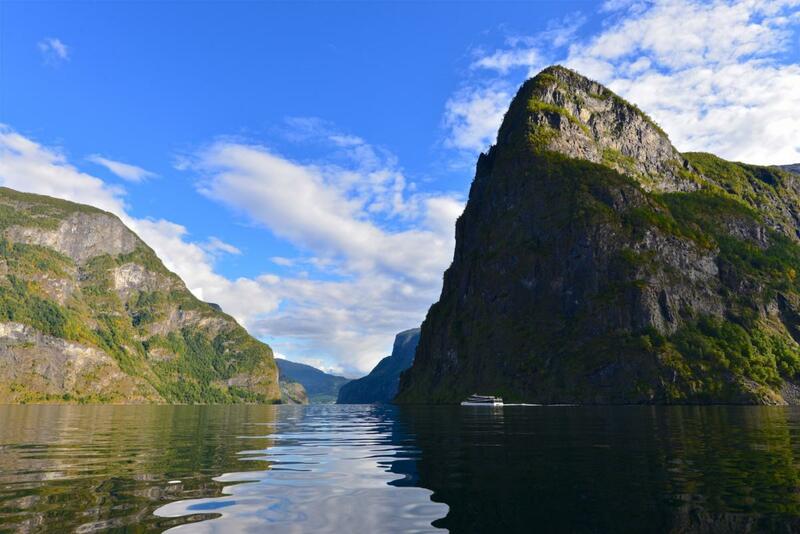 The Western Norwegian Fjords consists of the four counties. From north to south: Møre og Romsdal, Sogn og Fjordane, Hordaland and Rogaland. 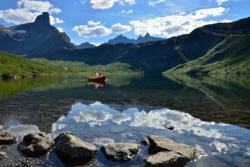 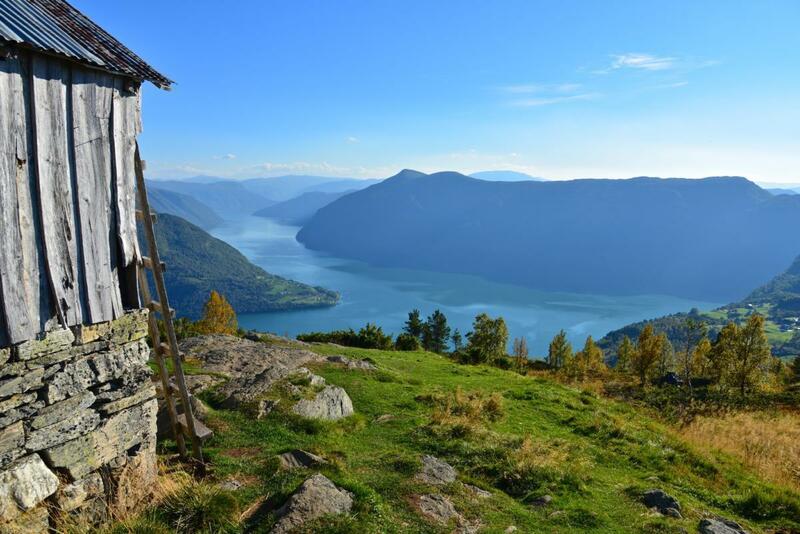 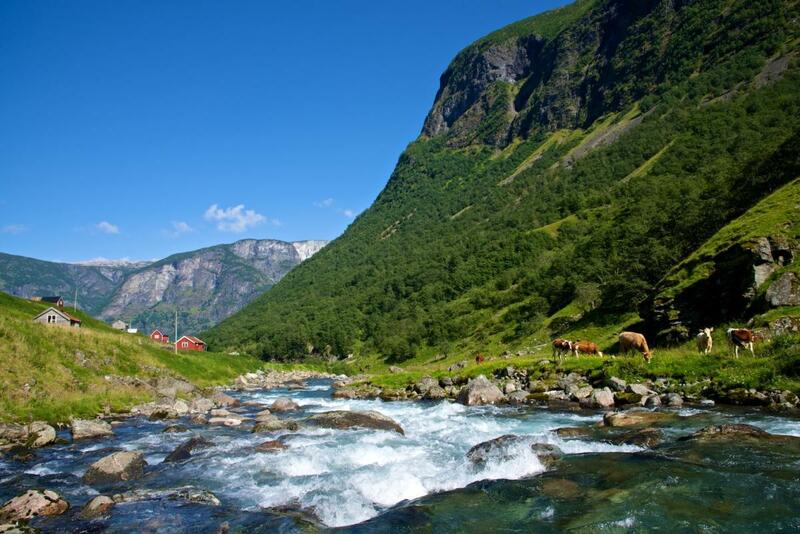 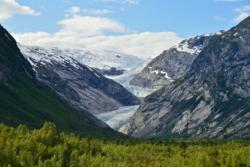 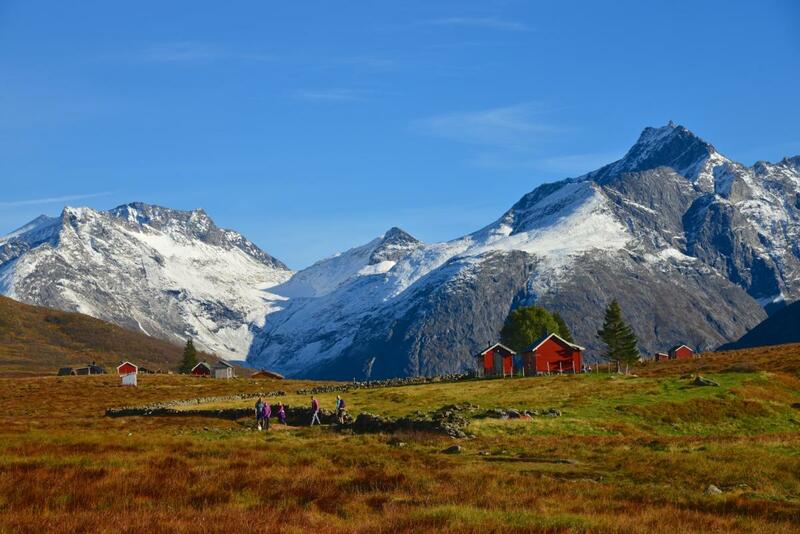 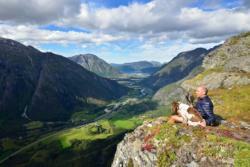 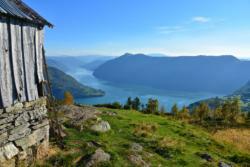 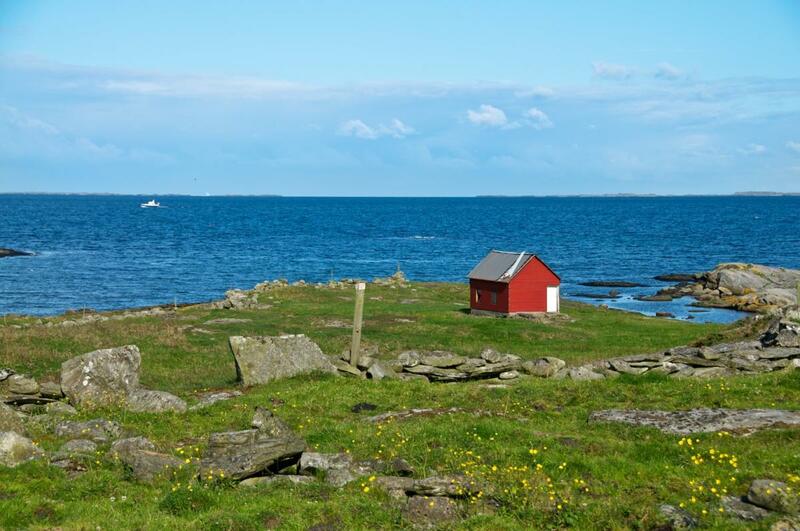 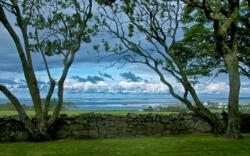 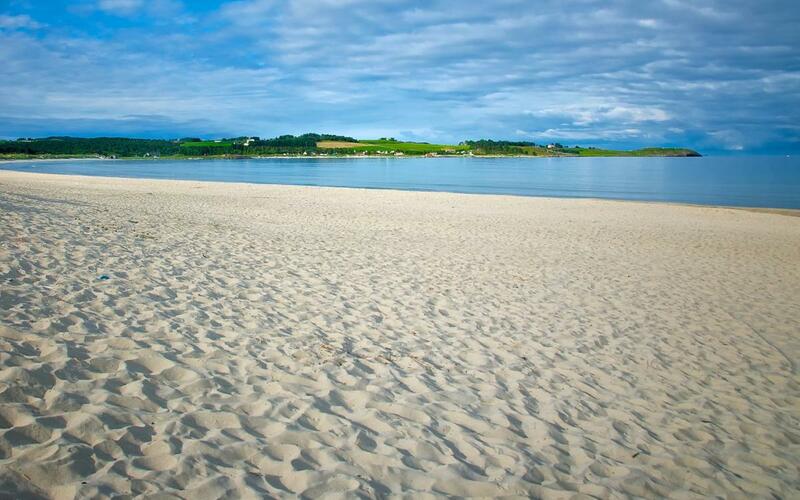 Below you can read about and see pictures from the four fjord counties. Møre og Romsdal is the northernmost county in Western Norway. The county is devided into three parts; Nordmøre, Romsdal and Sunnmøre. 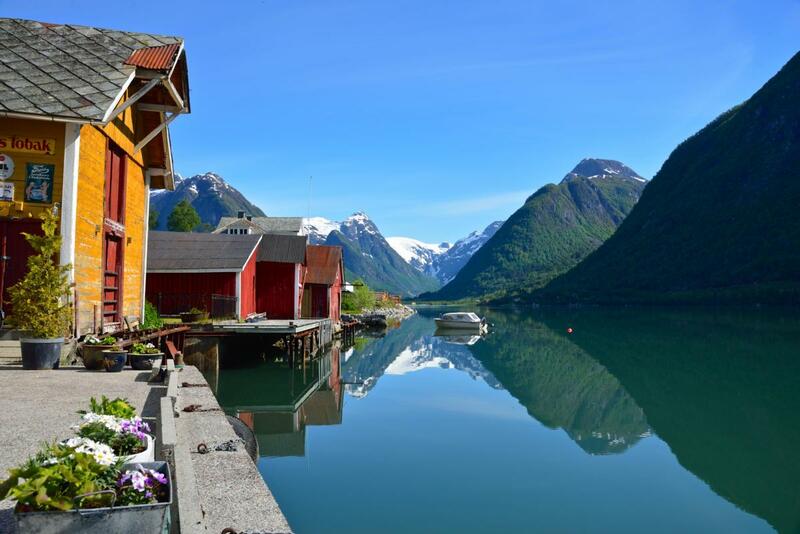 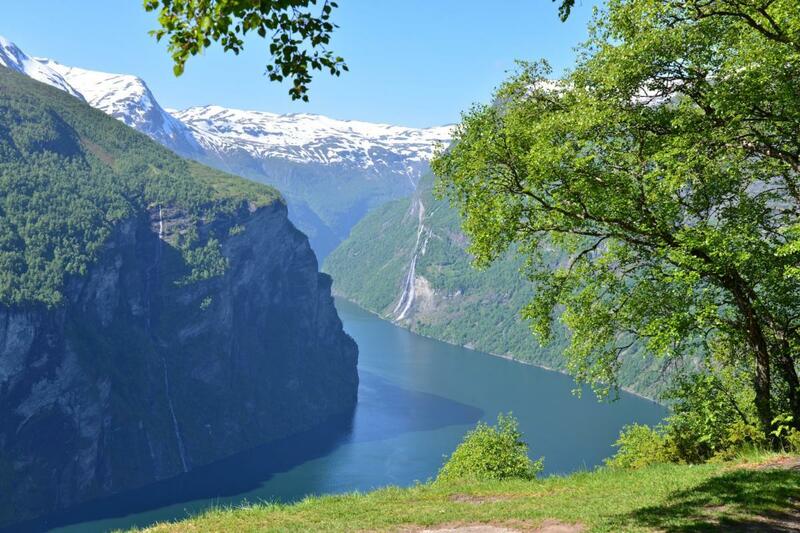 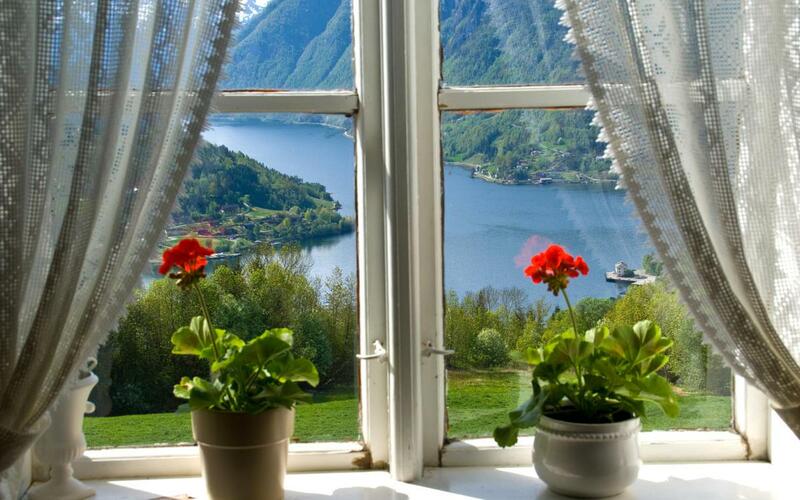 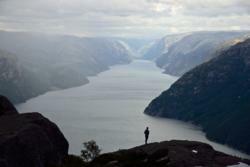 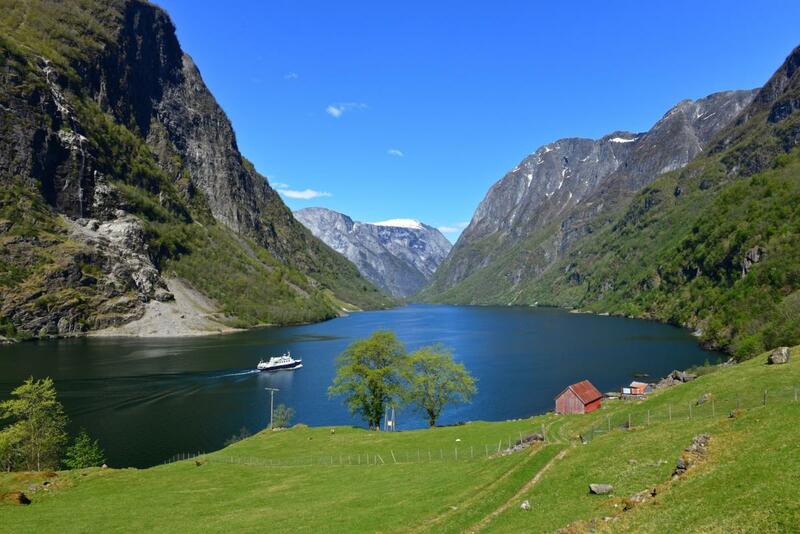 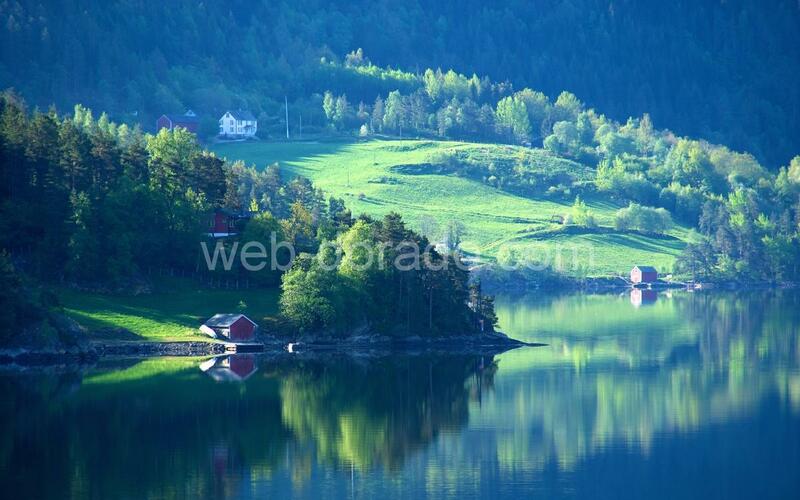 The most famous fjord is the UNESCO World Heritage protected Geirangerfjord. 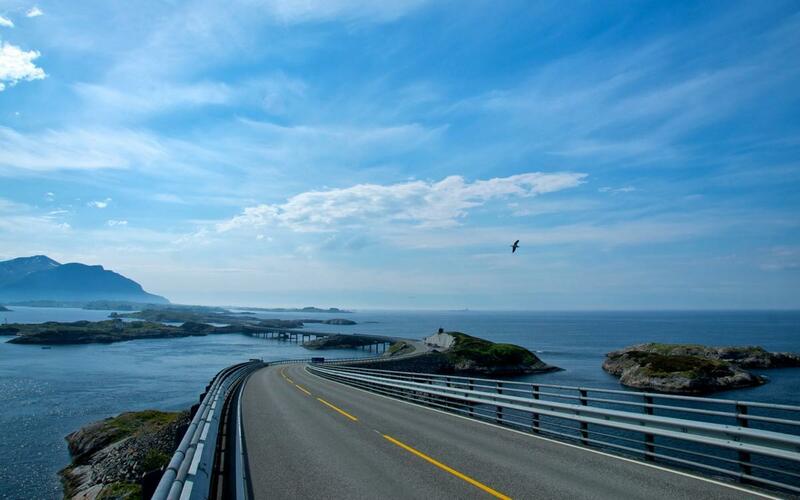 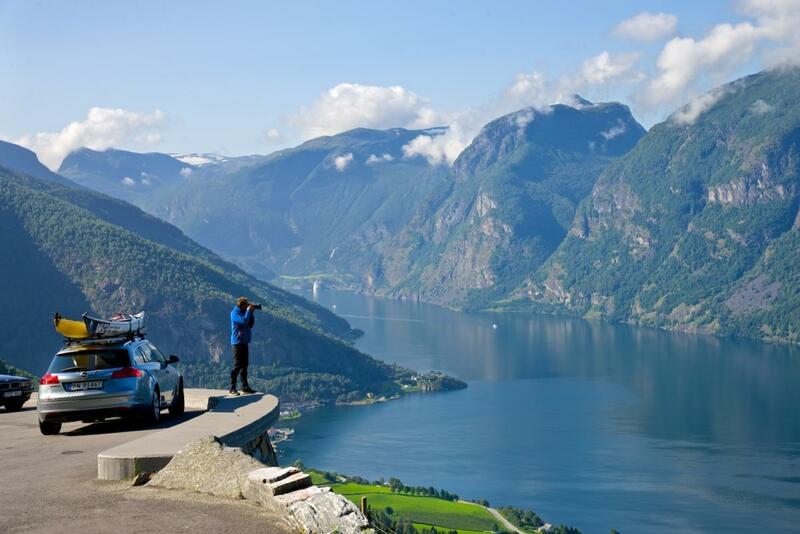 The Geiranger – Trollstigen National Tourist Route and The Atlantic Road are two famous road streches in the county. 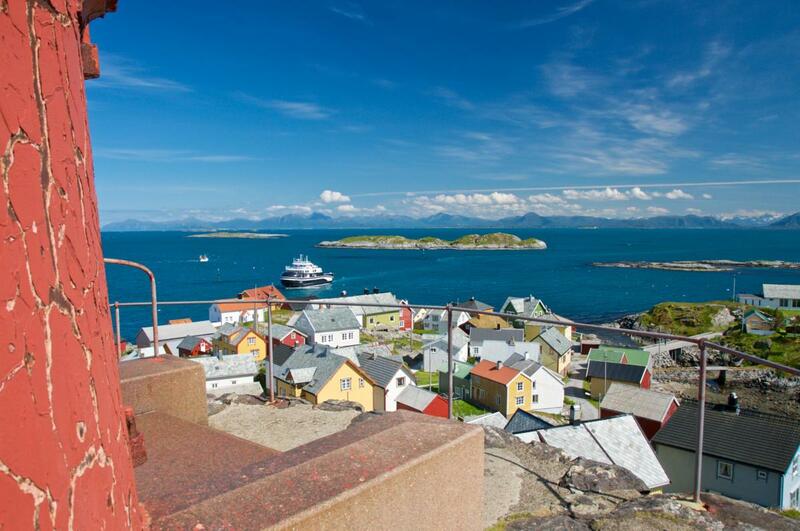 Kristiansund, Molde, Åndalsnes and Ålesund are the four cities in the county. Sogn og Fjordane has the longest fjord and the largest icecap. 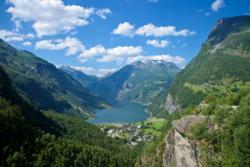 The county is devided into three parts; Nordfjord, Sunnfjord and Sogn. 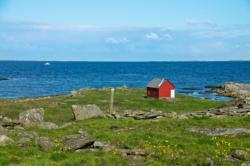 Here we have the westernmost point in Norway, Steinsøy. 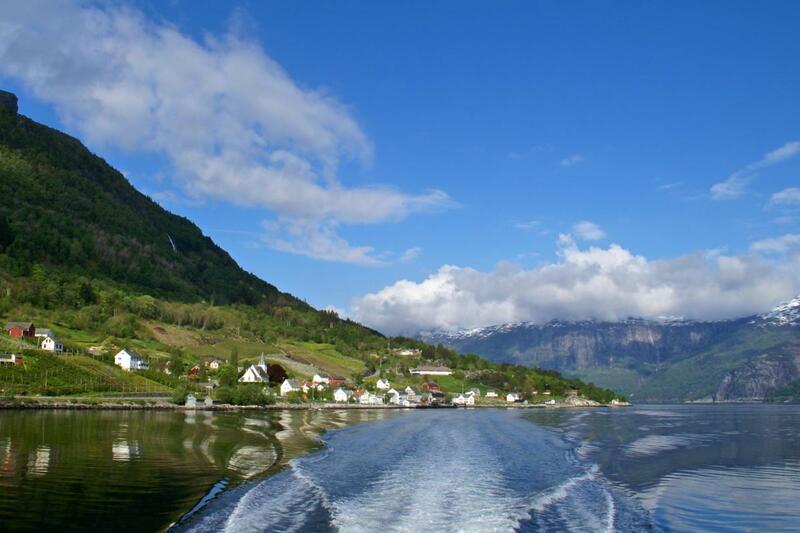 The Sognefjord is more than 200 kilometres long. 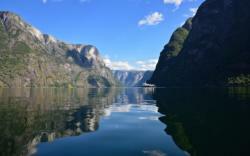 The Nærøyfjord is protected as UNESCO World Heritage. 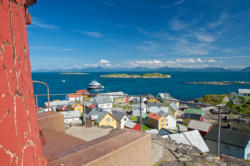 Florø, Måløy and Førde are the three cities in Sogn og Fjordane. 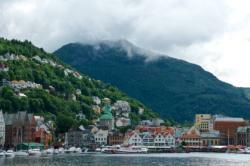 Other well-known places are Sogndal, Stryn, Sandane, Nordfjordeid, Loen, Olden, Vik, Lærdal and Balestrand. 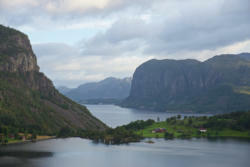 The outer part is dominated by coast and isles. In the inner part, the fjord is surrounded by steep and high mountains. Well-known tourist attractions are: The Nærøyfjord, the Sognefjord, the Flåm Railway, the Nigardsbreen Glacier, Veitastrond and the Austerdalsbreen Glacier, the Briksdal Glacier , Loen Skylift and Via Ferrata, Jølster and the Stave Churches in Sogn. 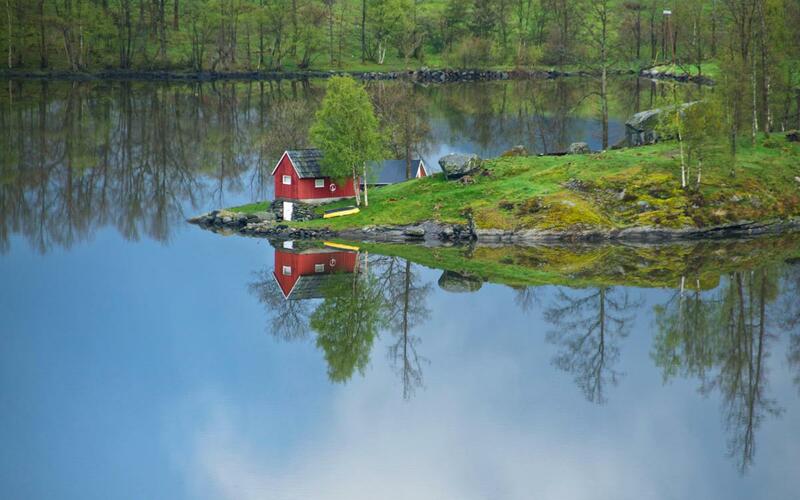 Hordaland is located in the centre of Western Norway. 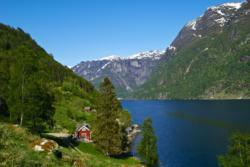 The county is devided into five parts; Nordhordland, Midthordland, Voss, Hardanger and Sunnhordland. 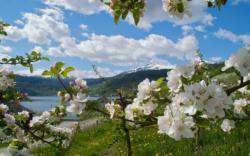 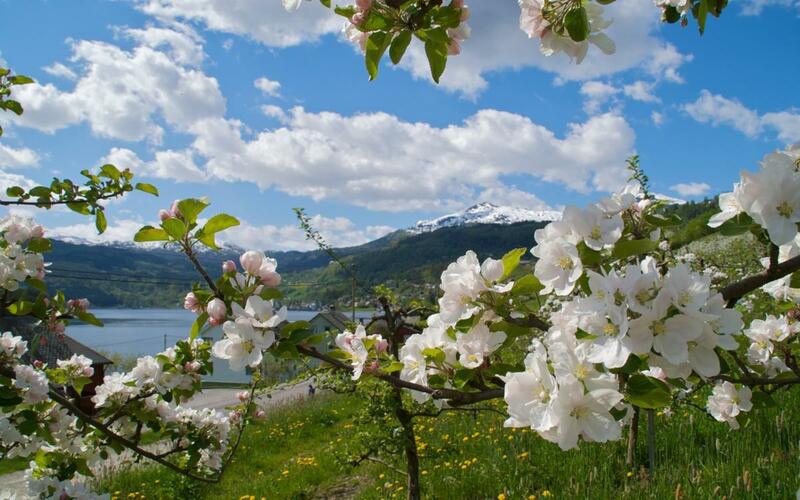 The Hardangerfjord in Hardanger, also known for its apple tree blossoming in the spring, is Norway´s second longest fjord. 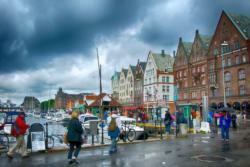 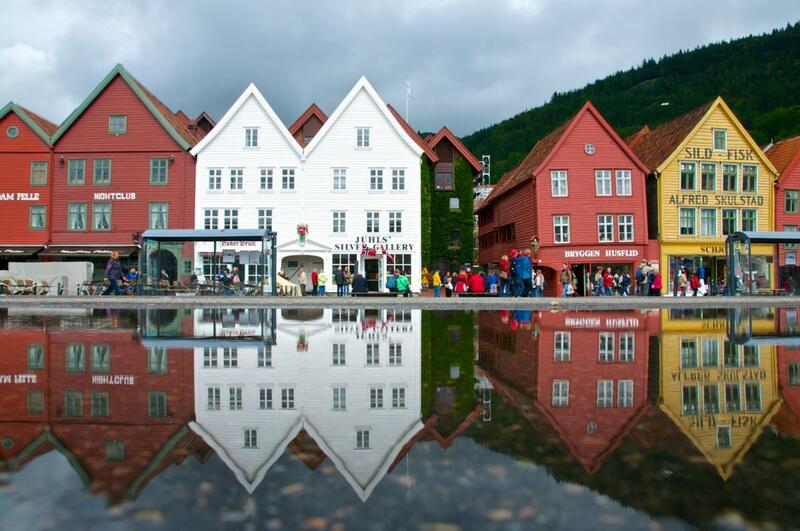 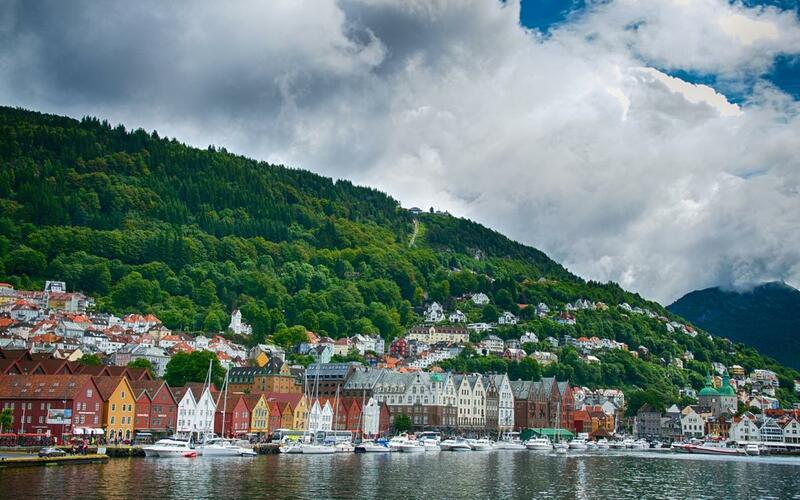 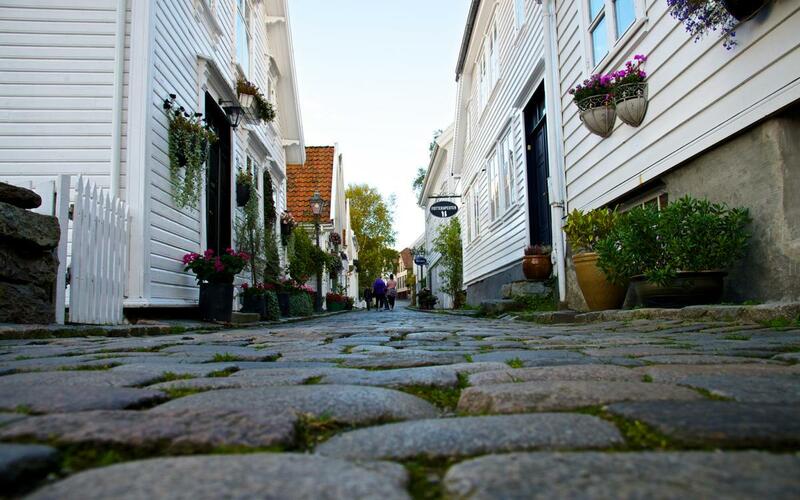 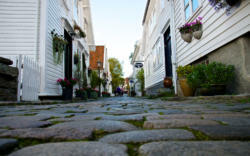 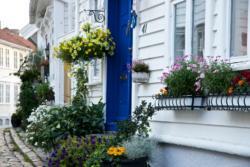 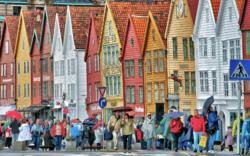 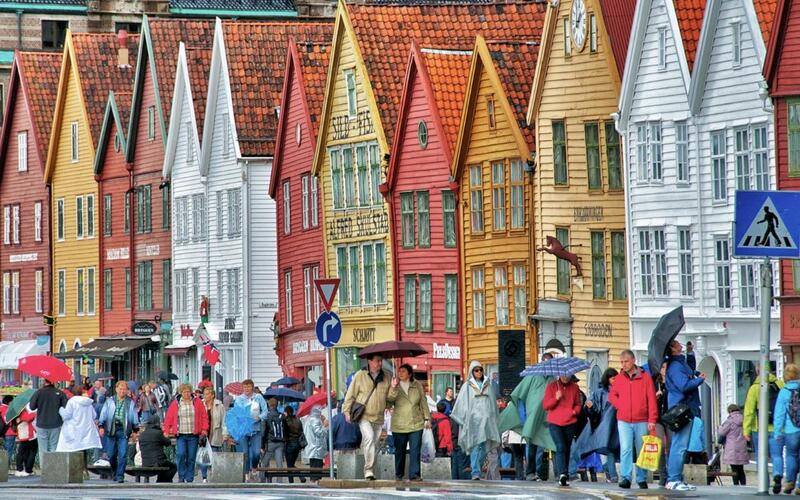 Bergen is the second largest city in Norway and is known as “The Gateway to the Fjords”. Bergen, Voss, Stord and Odda are the four cities in Hordaland. 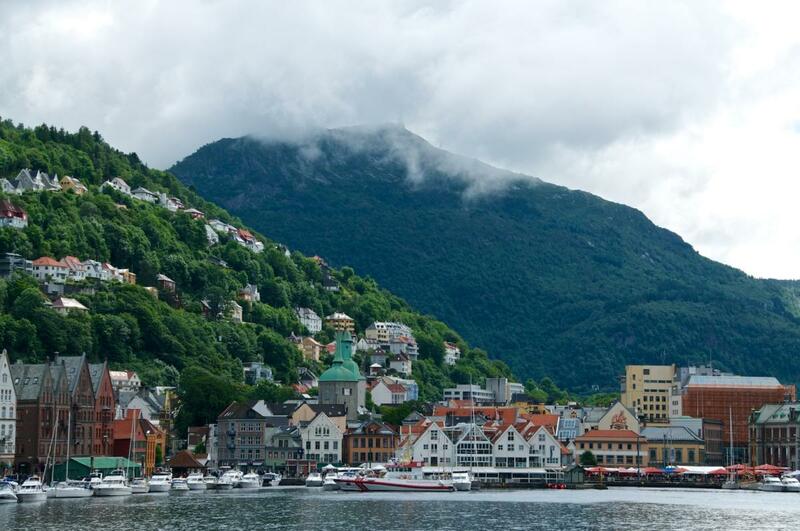 From Bergen, you can join Fjord Cruises to both the Hardangerfjord and the Sognefjord. 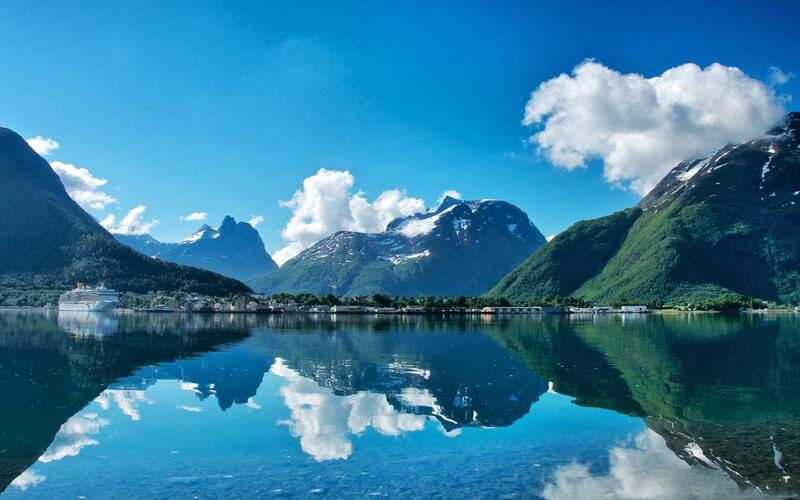 Isles, fjords, mountains, glaciers and waterfalls are keywords for this county. 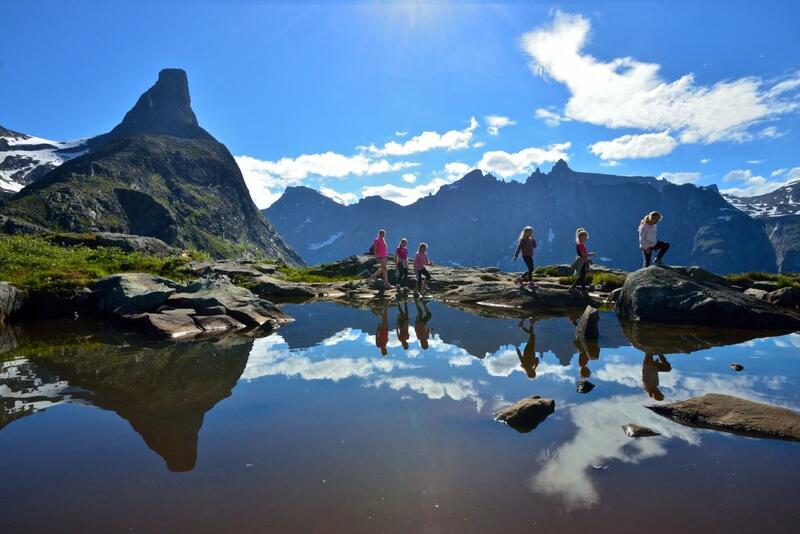 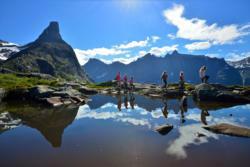 Well-known tourist attractions are: Trolltunga, HM Queen Sonja`s Panoramic Hiking Trail in Hardanger, Mt. 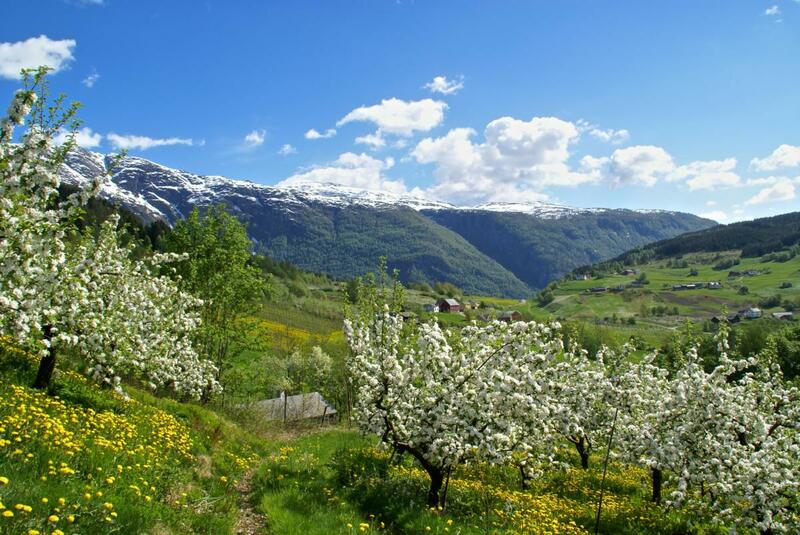 Fløien and Fløibanen Funicular and the UNESCO World Heritage protected Bryggen in Bergen, The composer Edvard Grieg’s home Troldhaugen, the Hardangerfjord, the Folgefonna Glacier, the Vøringsfossen Waterfall and the apple tree blossoming in Hardanger. Rogaland is the southernmost of the four fjord counties in Norway. The county is devided into four parts; Haugalandet, Ryfylke, Jæren and Dalane. 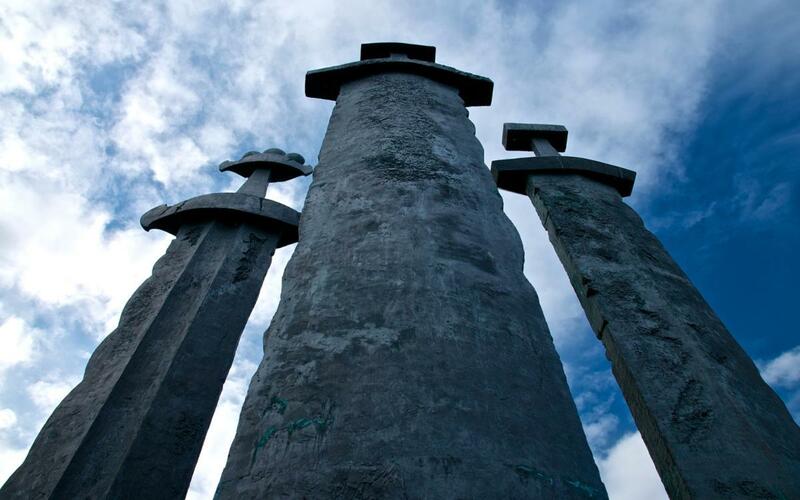 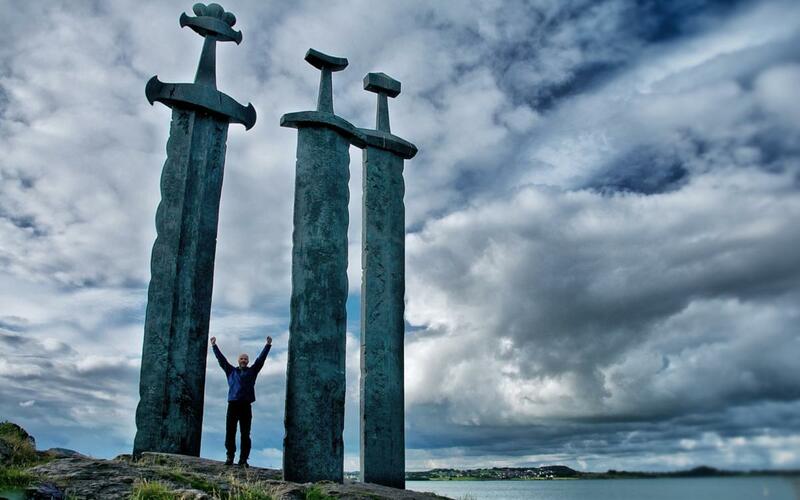 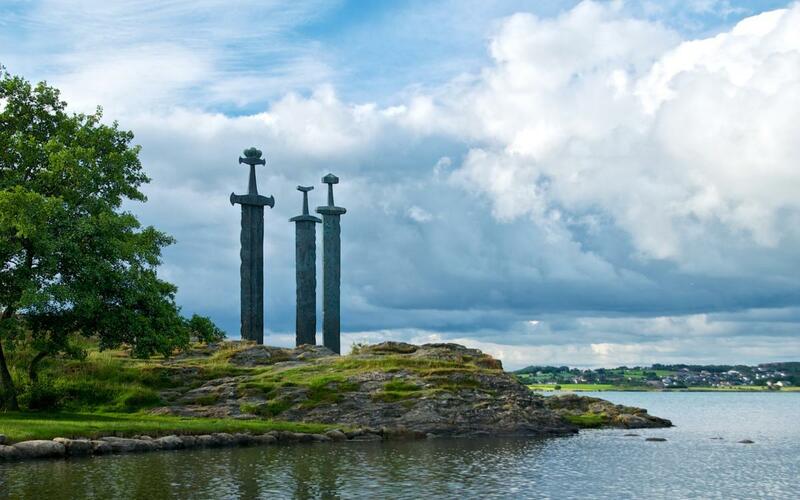 Norway’s history begins in Rogaland. It was here the first humans settled in Norway. Boknafjorden is the longest and deepest fjord in the county. The most famous fjord is the Lysefjord which is surrounded by well known mountains like Kjerag and Preikestolen (Pulpit Rock). 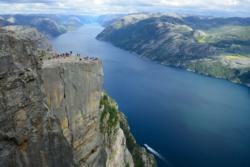 The hike to Preikestolen is one of Norway´s hiking icons. 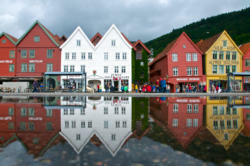 Stavanger, Sandnes, Egersund, Haugesund, Jørpeland, Sauda, Bryne, Åkra, Kopervik and Skudesneshavn are the ten cities in Rogaland. 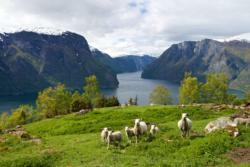 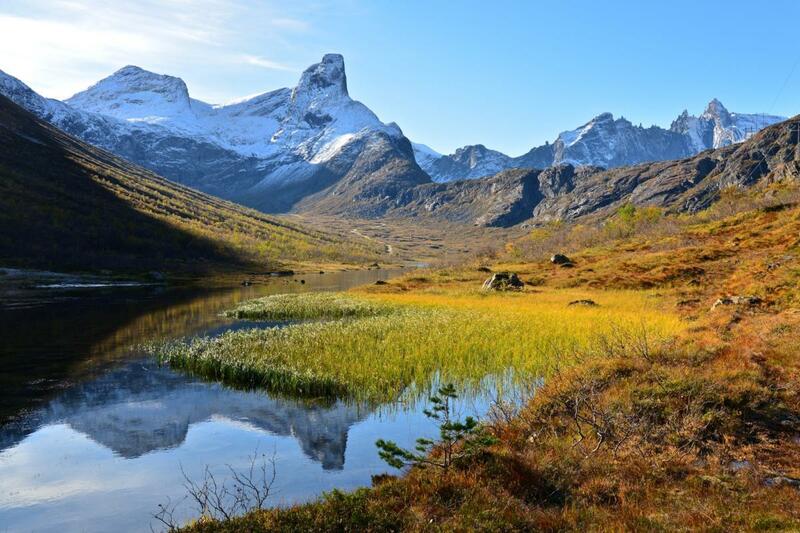 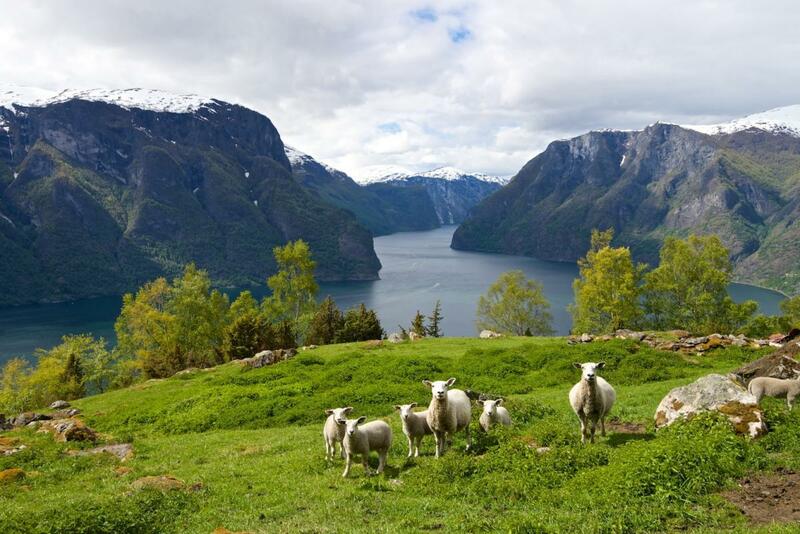 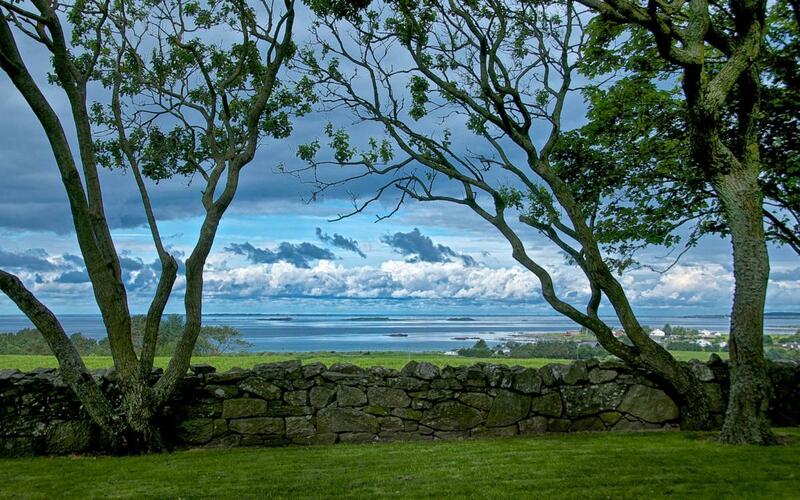 The nature varies from flat agriculture landscape to deep fjords and high mountains. 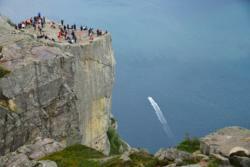 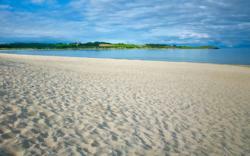 Well-known tourist attractions are: Preikestolen (The Pulpit Rock), Kjerag, The Lysefjord, Trollpikken and the Sola Beach.